Almost a year ago, on October 2012, I got this amazing card from Finland. It is about the Aurora Borealis. I wonder how amazing must be to look at it. Don´t you think? 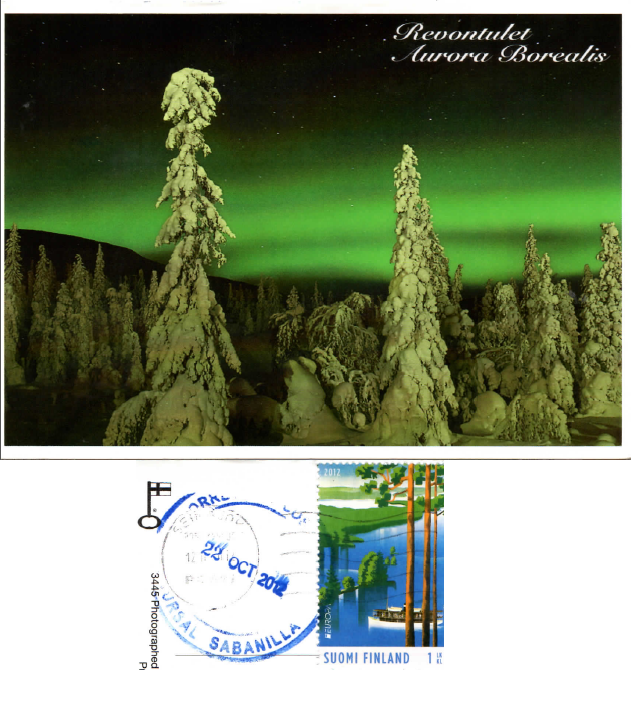 Hace casi un año, en octubre del 2012, recibí esta bellísima tarjeta desde Finlandia. Es acerca de la Aurora Boreal. Me imagino lo maravilloso que debe ser verla personalmente, no creen?